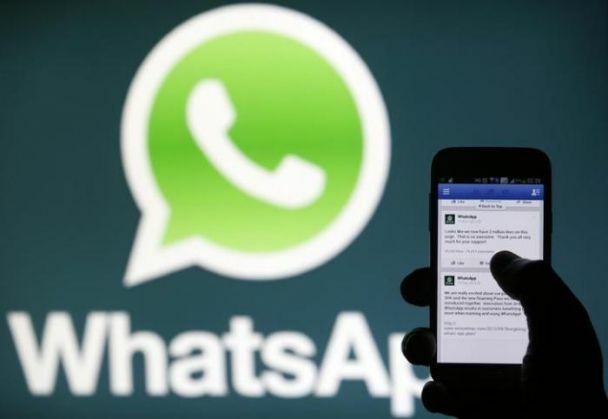 Facebook-owned messaging service WhatsApp has announced that its services would be discontinued on BlackBerry and Nokia devices by 2017. The company has not mentioned whether it will remove its app from the aforementioned app stores or it will not offer future updates to the existing version. However, one thing is clear that WhatsApp will only be available on devices that run on at least Android 2.3, Windows 8, and iOS. WhatsApp further says, "While these mobile devices have been an important part of our story, they don't offer the kind of capabilities we need to expand our app's features in the future." The decision is in line with WhatsApp's strategy and expansion plan, and it seems some devices will not be a part of its journey. When WhatsApp was launched in 2009, a majority of the devices were running on Blackberry and Nokia OS. The smartphone market has changed drastically since then. The landscape is vastly different in 2016, with operating systems offered by Google, Apple, and Microsoft now accounting for 99.5 per cent of sales today, according to WhatsApp. WhatsApp's announcement, made on its seventh birthday, came as a shock to these former leading smartphone giants. WhatsApp will be available on Blackberry's latest smartphone PRIV, which runs Android. The operating systems on which WhatsApp is ending support are legacy OS, that is, they are no longer installed or updated on latest devices. Blackberry 10, the latest running on BB OS, is still under development. However, it has failed to gain traction and accounts for less than one per cent of the market. Nokia Asha, which is a WhatsApp-focussed smartphone, will be affected the most. The Asha smartphones are popular amongst entry-level smartphones users. With WhatsApp ending support to it, the Ashas are expected to be hit the most. Now that WhatsApp has decided to withdraw support to these devices, it is clear that the smartphones that run on these operating systems will see a further dip in sales. While the market for such devices is scant, it is clear that ending support to them won't hurt WhatsApp. Based in Mountain View, California, WhatsApp was acquired by Facebook Inc. on 19 February 2014, for approximately US $19.3 billion. As of February 2016, WhatsApp had a user base of up to one billion making it the most popular messaging application across the globe. Also, the platform witnesses 42 billion messages, 1.6 billion photos and 250 million videos being shared every day. Also, there are one billion groups on WhatsApp. READ NEXT >> What do Akshay Kumar's Ikka and Sushant Singh Rajput's Paani have in common?